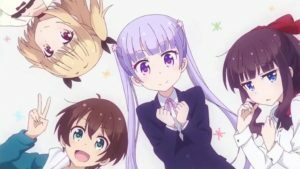 'New Game Anime Review, detailed review written by Panda. Hewwo, I’m Panda. I’ll be writing a New Game Anime Review. The genre is Comedy and Slice of life. I’ll be talking about the genres, later on. If you enjoy lolis, cheerful animes and just an easy anime to watch; this anime is for you. It aired on July 14th, 2016 to September 19th, 2016. It was written by Fumihiko Shimo. These are just the main characters, there are many side characters. Including Nene Sakura, Umiko Ahagon, Shizuku Hazuki, Chinatsu Hidaka, Hotaru Hoshikawa, Tsubame Narumi, Momiji Mochizuki and Wako Christina Yamato. I love the characters in this anime. They all have something unique to them, so they’re not just a bunch of lolis. But, actually, have a character to them. This anime doesn’t have an in-depth plot. This is because it’s a slice of life. It’s not intense, which makes it perfect for relaxing. Conversations are always short and sweet. There’s no massive problem. However, this does not make this unenjoyable. The anime focuses on the characters rather than the plot, unlike some heavy duty animes. I assure you will be attached to the characters as they have brilliant personalities. 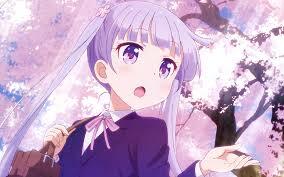 The main character is Aoba Suzukaze. She’s aged 18 in the first season but is often mistaken for a middle school pupil. Due to the fact she is short for her age. Aoba recently graduated high school and joined Eagle Jumps game company. As the company has made her favourite game. She aspires to be a character designer. I like her character, which is bubbly but shy in some situations. Hifumi Takimoto is a character designer, who works beside Aoba. She is quiet and adores her pet hedgehog, Sōjirō. She prefers to talk to others via messaging, opposing verbally talking. Hifumi’s confidence grows throughout the seasons, she tends to be closer with Aoba. She holds the secret of liking cosplay. Many would argue this is their favourite character, but I just find her to be decent. Yun Iijima is a character designer. I’m going to describe her as a gothic loli. She likes designing monsters and she has two younger siblings. Yun is conscious of her weight, which adds to my likeability scale. She’s a relatable character for many girls. She’s a good character. Hajime Shinoda works alongside the other girls despite the fact she’s a motion designer. Due to the fact, there’s no space in the motion designer cubicle. She enjoys collecting figures and watching sentai shows. I love her character because she’s nerdy and passionate about her hobbies. Yagami Ko is the lead character designer at Eagle Jumps, in the first season. Personally, she’s my favourite character. When you first meet her, she seems lazy and laid back. However, when you learn more about her, you realise she’s a hard worker and has a determined character. I was definitely devastated when I found out she moved to another game company in France. Rin Toyama is the art director in the first season. She is close friends with Yagami and cares for her dearly. She is calm and organised. Definitely a likeable character. 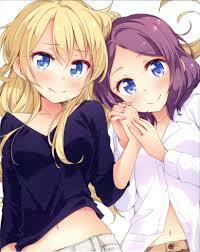 There is subtly yuri between them and I’m definitely shipping it. It’s very well-done. The animations are good, however, nothing amazing. There’s nothing bold or anything that stands out in the animation for me. I have seen worse animations so I won’t be complaining. It’s good; the characters and motion seem okay too. This anime wasn’t something I would normally watch because I tend to stick away from lolis. Probably because they have no character or are interesting at all. But, I have enjoyed this anime very much. Since the characters are very likeable and it’s relaxing compared to other animes. It’s a good anime and it reaches almost to my best animes. Also, this won’t be for everyone because I know some people like their dark animes such as Attack On Titan or Tokyo Ghoul. This is quite the opposite. In conclusion, this anime is recommended but don’t expect it to be the best anime you’ve ever watched. The music was pretty good, it was catchy and fun. Just like the anime, hehe. I don’t really listen to anime music in public but even if I did, I probably wouldn’t listen to it. It’s okay, it’s nothing bad. It’s good to listen to before every episode but it wouldn’t be something I would listen to in public. The video simply just shows the cast, nothing that catches my attention. Phew! 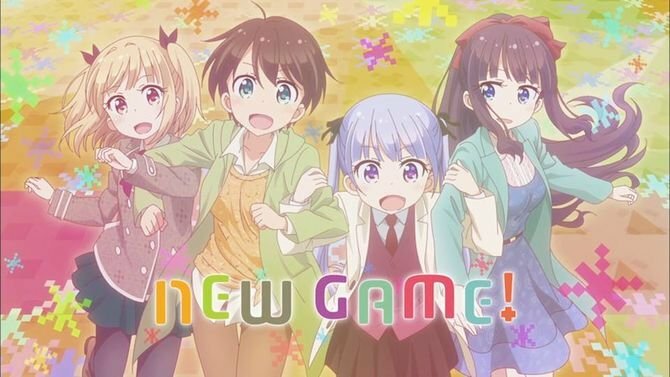 We’ve finally finished the New Game Anime Review. Okay, let’s summarise. In conclusion, this anime has amazing characters and doesn’t focus on a problem. I definitely recommend it! It’s relaxing but it’s not for everyone. I would rate this anime 7/10. I hope you’ve liked this New Game Anime Review. If you’ve enjoyed this New Game Anime Review, I recommend you check out my other recent review. If you have time, consider answering my questions. What do you think of this anime so far? = Haven’t watched it yet, but I got both the seasons downloaded. – I read the few parts and it is good. – Welp, not a loli fan… but I kinda like slice of life. So, I may give it a try. Thank youu, I tried hard. Okay, I hope you enjoy the anime. I’m sorry it wasn’t up to your expectations, feedback helps me improve. If you could tell me what I could do to make it better, I would appreciate it. I respect your opinion as everyone has different opinions, but for me 10/10 is the perfect anime. And to be honest, I don’t think that exists. I can only hope. Anyways, thanks for the feedback.